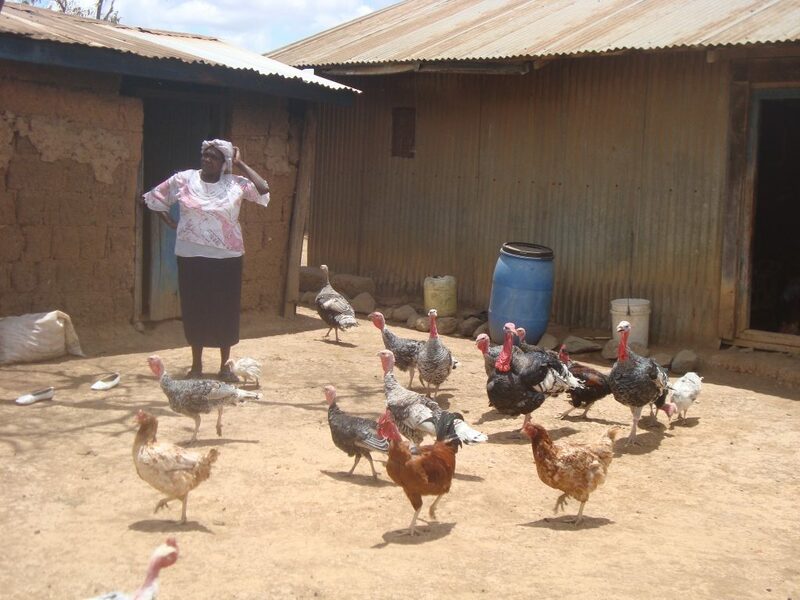 Rahab Githumbi has become famous in her district for her successful turkey and chicken business where both animals help and live alongside each other harmoniously. She realized that due to their large size, turkeys could easily brood over chicken eggs and hatch them more successfully than even the chickens! She says “I experimented by giving my turkey 20 eggs to brood for me and to my surprise, after 21 days of brooding, all the twenty chicks hatched successfully!” Due to their sizes turkeys, can brood and hatch up to 30 chicken eggs at once. According to Githumbi, a turkey can continuously brood chicken eggs up to three times consecutively before being given a 30-day rest. This means that in 63 days a turkey can hatch as many as 90 chicks. Arid Lands Information Network (ALIN) recognized the potential to improve livelihoods by sharing Githumbi’s innovation. They helped Githumbi document her innovation to both safeguard and spread the technique. Learn more about this innovation in their write up. Rahab has realized a wide range of benefits from incorporating turkeys into her farm. Selling a greater quantity of chickens and turkeys (full grown for food as well as young birds for rearing) has created a more stable and robust source of income for Rahab and her family. Adding chicken and turkey meat to her family’s diet has improved their food security and nutrition. There are many positive ecological impacts, too. For example, recycling turkey manure to fertilizer plants around the farm. Additionally, turkeys feed on insects and small rodents, which helps to naturally keep pests at bay. I am a UK taxpayer and my gift qualifies for Gift Aid. For thousands of years, farmers have provided humanity with sustenance and nutrition, developing creative and progressive techniques that work with nature, not against it. Yet our society consistently overlooks and undervalues them in favor of a food system developed and promoted by corporations, not farmers. Today we say: Enough. We can no longer participate in a system that denigrates farmers, their communities, and their products. Instead, we rise in solidarity with those who feed the world. We stand with farmers and everyone who contributes to a global food supply. And we will stand with them until they are recognized as the leaders they are and returned to their rightful place at the helm of agriculture. supporting knowledge-sharing and documentation for 20-30 farmers. For more information, email [email protected].